It's my 18th day in London, and so far, this charming city has never failed to surprise me everyday. ...with the Royals at Madame Taussauds-London. It was originally planned to get up early today and visit the famous Camden Market but we didn't make it. The sun rose at eight o'five this morning and at nine, it remained adamant to continue hiding behind the thick winter clouds. My mind was more than willing to go- enjoy the vista along the route of bus 176, or delight in the promptness of the overground and underground train lines from Anerley Station- but my physique was so weak... so I helplessly succumb to hibernation until four this arvo. I'M GLAD THE HOLIDAY PARTIES and dinner invitations have ended as 2013 officially begun- it's time for my digestive system to take a break from exhaustion, though, without checking with the scales I'm sure my bones and joints have been screaming out their complaints because the fats I've stored over the season are far too much for them to bear! My jet lag, Britain's cold weather, sleepless nights and voraciousness have gradually added up allowing the opportunistic cold viruses to flaunt their cruelty albeit my B-complex, fish oil and double doses of vitamin-C supplements. Without regrets, I missed the cool and drizzly New Year's Eve fireworks display at London Eye. 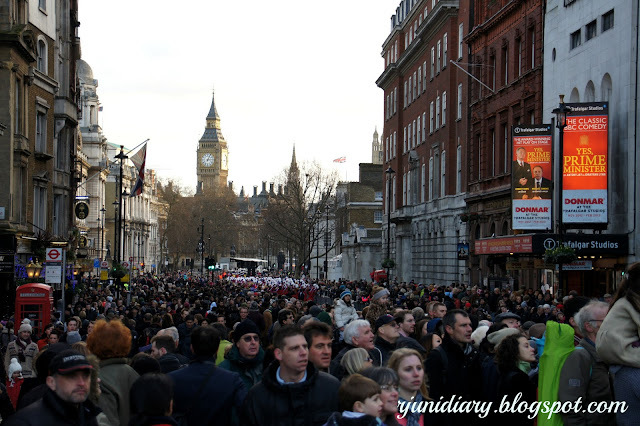 The spectators lining the street from Trafalgar Square. 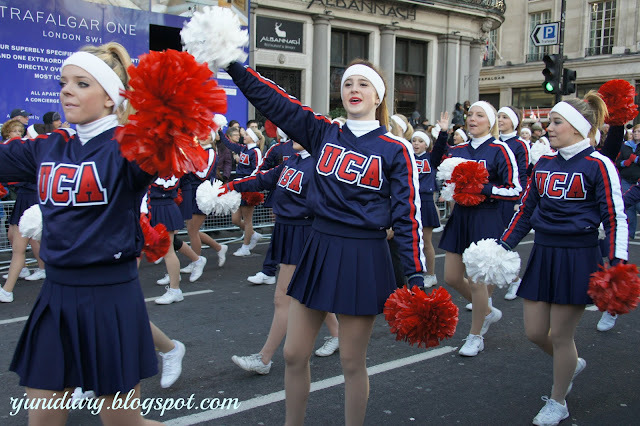 London New Year's Day Parade 2013. Surprisingly, I had all the symptoms of common cold except inappetence. 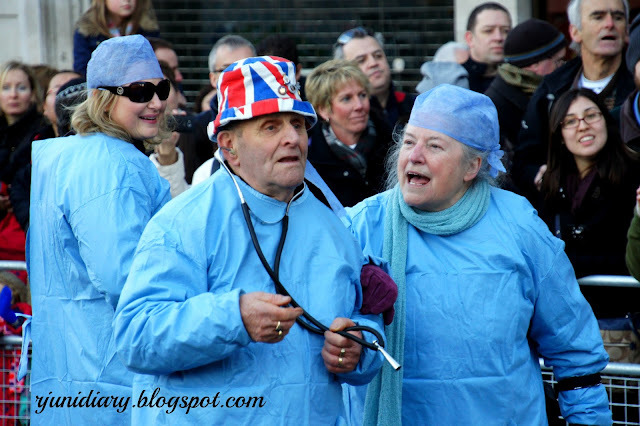 Despite my poor health state on the first day of the new year, I still obliged myself to witness the London New Year's Day Parade last Tuesday. While I was changing for the parade, the sun rays was penetrating through the partially opened blinds so I didn't care to bundle myself with layers of thick clothes. I was then awakened from my South Australian concept of winter when I found myself chilled to the bone at twelve high noon while waiting for the grand procession at Trafalgar Square. 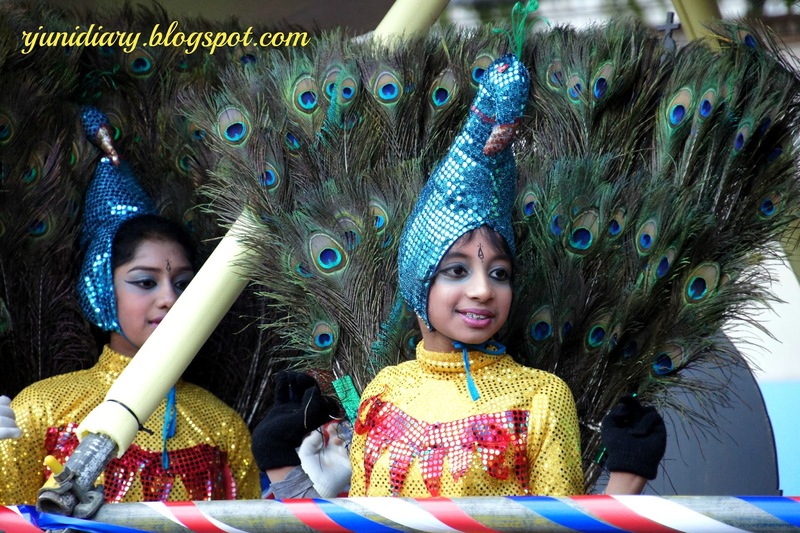 As a series of tuneful marching bands, graceful cheerers and beautiful floats started to approach, thousands of spectators flocked along the baricaded streets which thankfully produced a comfortable and agreeable degree of warmth around me. St. Bartholomew's Hospital- London, founded c. 1123. 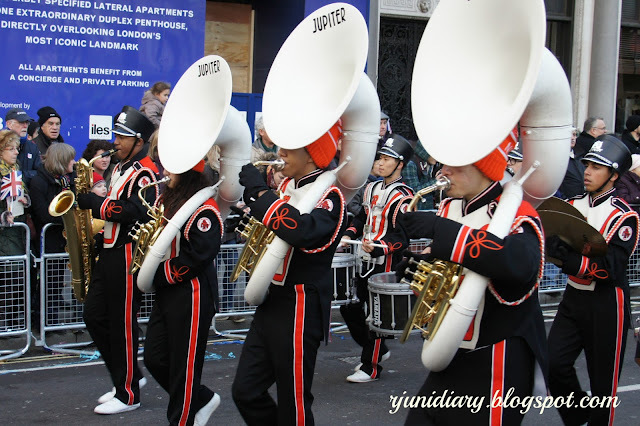 Excited for the London New Year's Day Parade 2013. 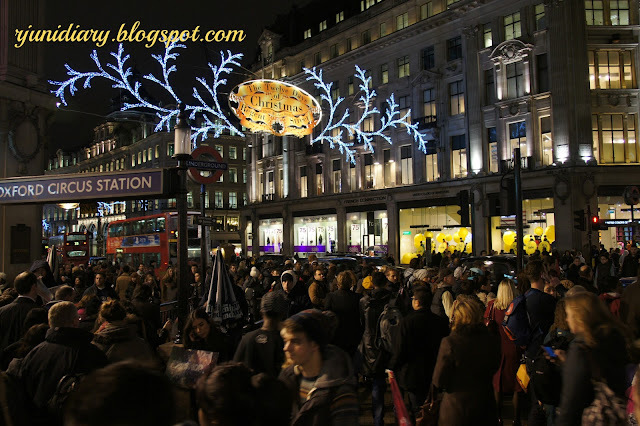 EXPLORING AND DISCOVERING London's major thoroughfare- the Oxford Street at the City of Westminster was a remarkable experience. On the 2nd of January, I got out of bed from my afternoon nap at two with my cold symptoms alleviated by Lemsip Max Day and Night so I decided to go and visit this famous shopping precinct. My jaw literally dropped and I profusely salivated upon seeing those branded apparels in the elegant shops housed in the finest, century-old Victorian buildings lining the street-in-a-rat-race! I instantly felt sorry for South Australia upon seeing those top-quality items on display (some were still up to 70% off the original price, a remnant of Boxing Day sale). Right before my eyes, the sophistication and quantity of the products in Oxford St. seemed to have naturally degraded the clothings that I've seen in Rundle Mall, Adelaide. I locked my wallet and tightly zipped my pockets... luckily, I succeeded- I didn't spend a pence; after all, I'm not here in London to shop. The hustling and bustling Oxford St., Westminster, London, UK. 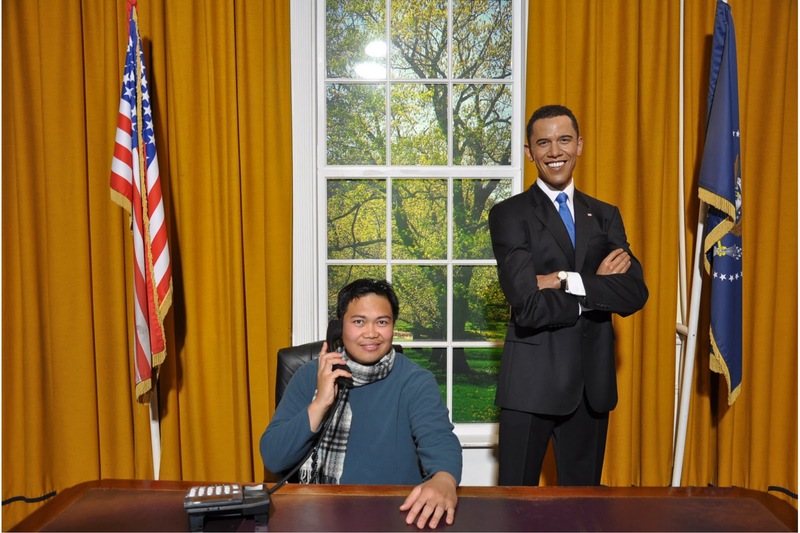 NOTHING BEATS THE EXCITEMENT at Madame Tussauds museum at Baker Street, especially when I saw the guests on their most wacky poses- kissing, embracing or frisking over the wax figures of their favourite stars and personalities. I didn't expect to see those life-size images standing all over the place (I thought they're only positioned in one corner), that I had literally rubbed my elbows with the wax elbow of the famous Hollywood stars, artists, scientists, athletes, the Royals and of the world's famous politicians. 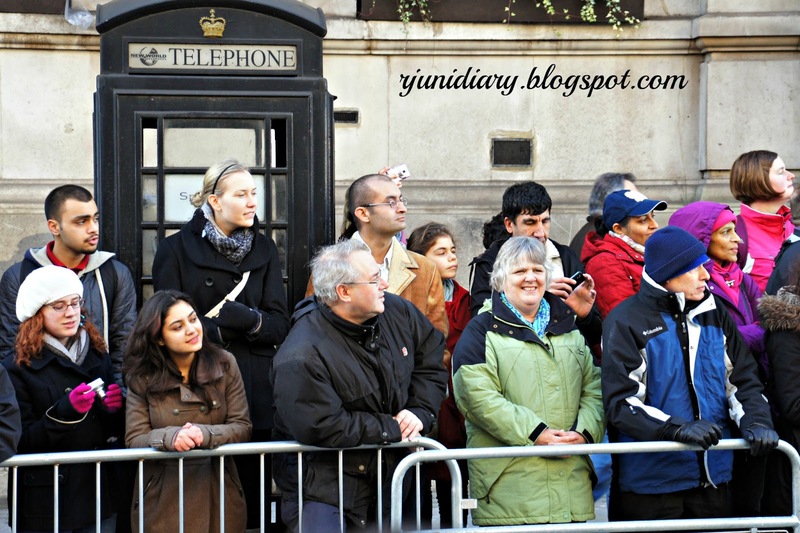 At times I would quickly stop and look closely at the person next to me 'cause I had this delusion that he or she might be another wax figure displayed by Madame Tussauds! Mr. President's secretary, Madame Tussaud's- London. The lights and sounds and other special effects (smoke, water, etc.) were perfectly matched to their displays- except the faint audio at the quick travel along the mini-tunnel of London's history. The horror tunnel that highlighted the story of revolution and human execution failed to impress me- especially their actors, but the finale at the museum's planetarium- the 4D film about how the Marvel Super Heroes (from the Hollywood movies) saved the Buckingham Palace and the entire London from the robotic villains (which, honestly, my brain failed to capture) was so magnificent! It was my first time to experience a 4D adventure, and yes, I was captivated by the visuals, the mist that was hitting my face, the smoke that irritated my nostrils and the moving seats in tandem to the actions on the screen! Brilliantly fantastic! I would like to thank my Auntie Monette's good friend- Tita Arlene Wright and her family for all these adventures around Central London! 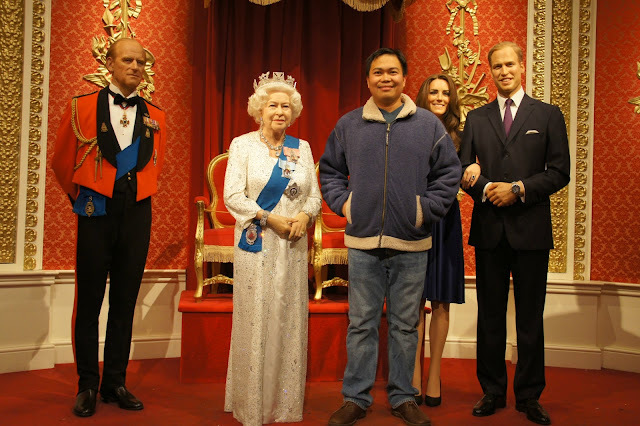 great to know you enjoyed your wax museum experience in london, doc! unlik few people who don't find wax displays of prominent personalities amusing, my family and i also liked the experience with madame tussaud's in hong kong years ago. i'm enjoying your london adventure! must read the back posts; you might have been to other parts in europe.